If there are difficulties within your family and you need advice on the options available to you then use a family law solicitor that appreciates how sensitive and difficult this subject can be. At Howells Solicitors, our highly effective team of lawyers are here to offer you support, guidance and understanding during what can be an upsetting time. 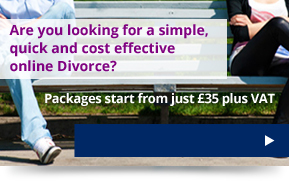 If you have a family related dispute then we can help you through these difficult times. If you have any queries that you would like to discuss with us or if you would like to arrange an appointment you can contact us by any of the methods below. We will aim to respond to all enquiries within 24 hours. If your enquiry is on a bank holiday or weekend then we will respond by the next working day. Richard Scott, Partner and Family Law Solicitor at Howells, discusses some of the most contentious aspects of divorce and separation. If your relationship has broken down to the point where a separation or termination of the marriage is the only way you can go forward with your life, then there are some important issues to consider, namely your finances and your family. Expert legal advice should be sought so that you can reach a financial settlement and make plans for your children and your family. Howells Solicitors can advise you on such matters and if you cannot reach an agreement with your partner then we can negotiate and take the case to court on your behalf. We can help you navigate this area of law and work with you to make sure you get what you are entitled to, whether that is keeping a roof over your head, money in the bank or access to your children. We have experienced and sympathetic family law solicitors in our Swansea, Cardiff, Caerphilly, Talbot Green and Newport offices. Our matrimonial Solicitors only specialise in family law and they will do everything that they can to help you through these trying times. We understand that it can be hard to talk about family issues and we will proceed at your pace. We offer a free half hour consultation in our matrimonial department. This service is a bespoke service where we meet you face to face and discuss your individual needs and requirements in complete confidence. We outline how we can help you moving forward and the fees and payment options available. If you have a family related dispute then we can help you through these difficult times. To make an appointment with one of our experienced solicitors, please call us on 02920 404018 or if you have a general enquiry then e-mail us at info@howellslegal.com, send a text message to 07435 972553, or fill in our online enquiry form. We will aim to respond to all enquiries within 24 hours. If your enquiry is on a bank holiday or weekend then we will respond by the next working day.